The Nakomo™ Comic is a story of three young heroes who come to understand the nature of the kami (spirits) and grapple with the mystery of the sorcerer of surpassing power, Nakomo. 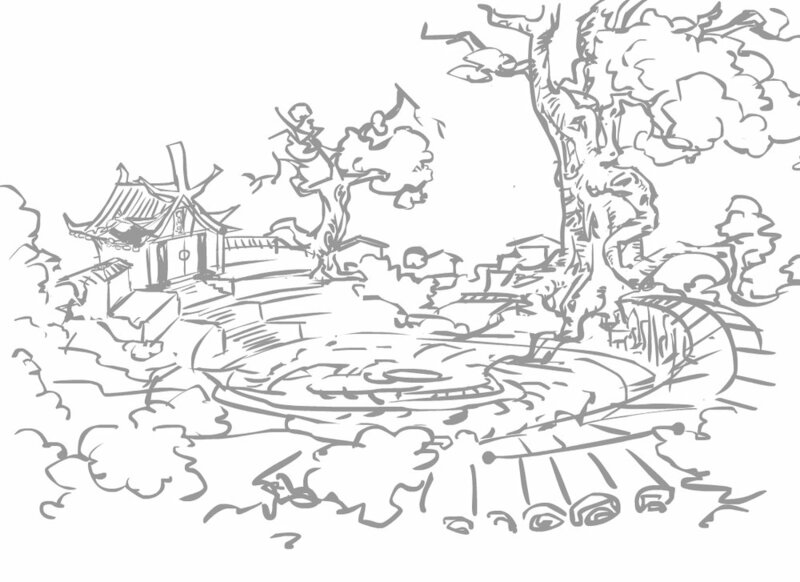 In 2013, a group of collaborators started on a Nakomo JRPG game. This game was not brought to market, but a body of IP for this Edo-era Japanese RPG was formed. In 2016, REDFOX Game Studio commissioned two artists to work on a Nakomo Comic - set in the Nakomo world - to bring the IP to market ahead of any Nakomo themed games. Concept art was produced and story writers have been engaged to write comic scripts and novel chapters for Nakomo. In 2017, the IP will be used as the theme of a Steam game called Nakomo Kingdom TD. Also, work continues on the comic. Longer term, many who worked on the original Nakmo JRPG would like to see that project completed.